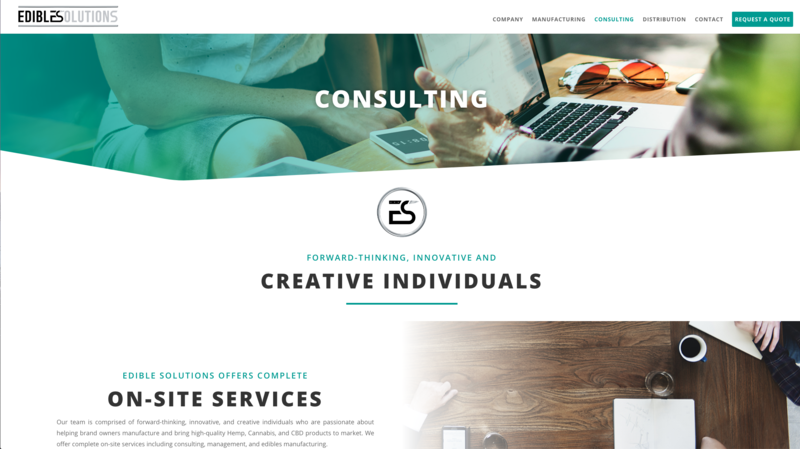 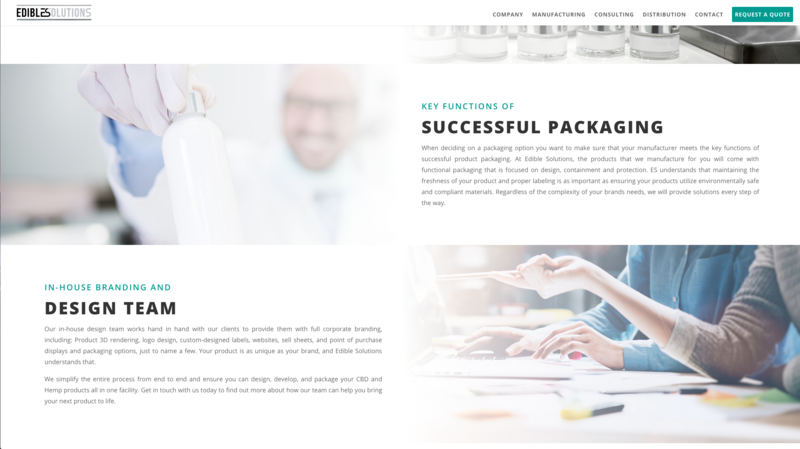 BNG Design created a new custom WordPress CMS website with custom forms, in-depth content, custom graphics and comprehensive SEO. 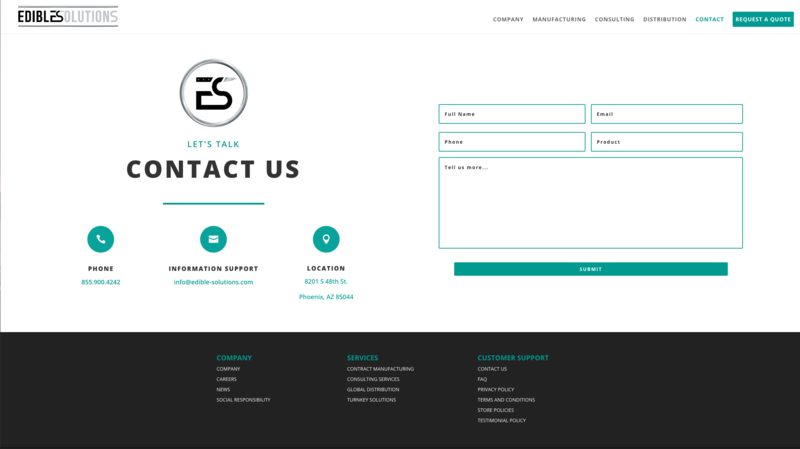 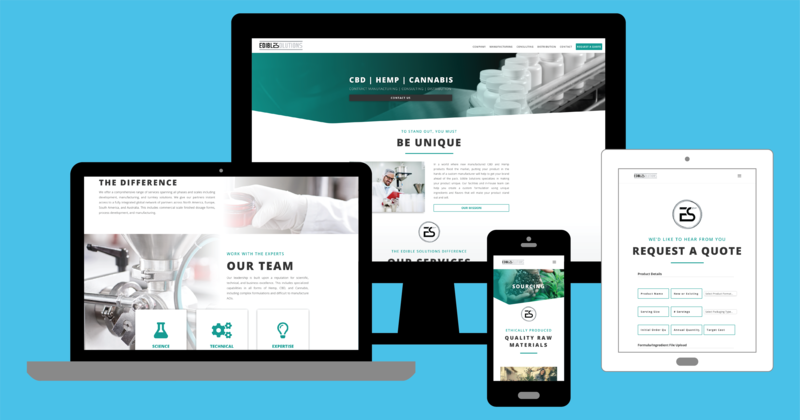 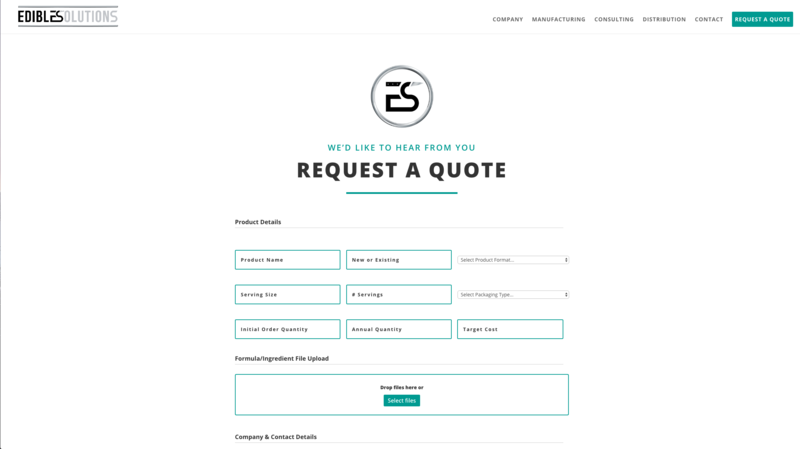 Edible Solutions can now add and revise content on their website at any time with their robust, yet easy-to-use, CMS website. 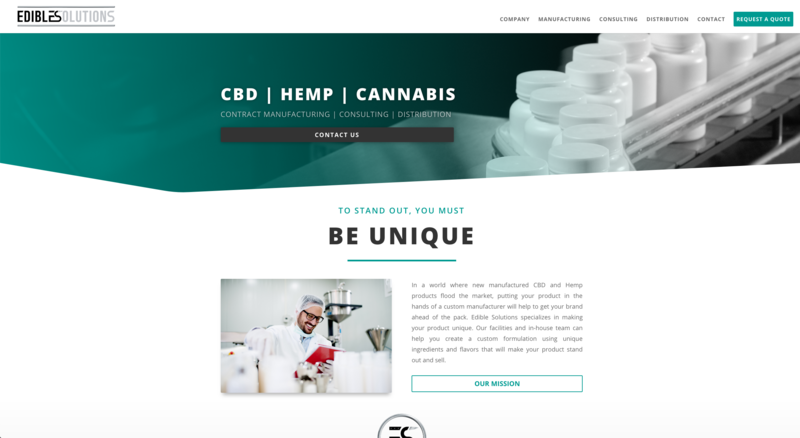 Edible Solutions is a one stop operation that specializes in the custom manufacturing, formulation, consulting and distribution of CBD, Hemp and Cannabis products.